Translation free quote! We can show you how to get it? 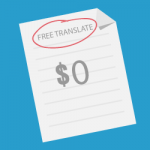 / Translators / How can you get a translation free quote? 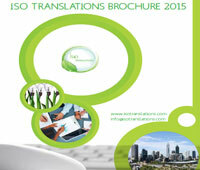 Translation agencies strive to carry the best possible solutions for their valuable clients. If you want to get a translation free quote for your certificates, legal documents, or academic documents. You can check the price quote by calling at their free number. You can also e-mail them the text and get a fast response with the predicted price of your translation; the quickest of all methods is, though, live chat. The project managers are available to help you with any problems with regards to your translation. You will have to send the copy of the document, and they will let you know your translation cost right there and then. Some agencies employ this method for general translations only. Translation free quote service occurs before closing a deal. A translation agency or a translator will examine the whole document or the files that need to be translated before giving a free translation quote. So, constant communication with the client is required in this state. 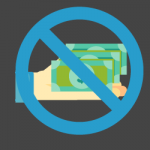 What Should Be Considered in A Translation Free Quote? Before the translation quoting process, a few things must be asked by a translator to the client, and these things make the following list below. What is the form and layout the client would like to get? Does the translation require a certification? What is the client’s choice? Is it the translation quantity, cost, or delivery time? 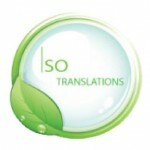 Once the items mentioned above are quoted, translators create a project proposal to achieve the free translation quote. As a result, it is vital to maintaining the conversation lines open with the clients for many choices, updates, and discussions to assure that high-quality translation is accomplished. How Does Translation Free Quote Tool Work? All translations are safe, fast and human-powered. Fill the online form to get started! Here you can request a translation free quote without any difficulty. Do not forget to attach the text you want to translate and the languages into which you want them to translate. You will get a free translation estimation within five minutes or less after we accept your request. You can also use our online word counter tool and price indicator to get a rough calculation. No doubt you will find cheaper translation service providers on the internet, but check what quality ensures they offer. Translation quality values. We employ the best translation charges at which translation quality can be obtained. Feel easy to get in touch with one of our project managers for further information about translation pricing based on your project. If you do not want to use the online instant quote form and want to get a personalized suggestion, please make contact with our experts by giving a call.